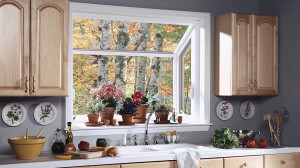 With a Window World Garden Window, you can enjoy a lush oasis even if there’s snow on the ground! Our garden windows provide ample sun exposure from three sides, allowing plants to flourish, while maintaining the energy efficiency you can expect from Window World. Designed with exceptional attention to detail, a Window World Garden Window is as beautiful as it is high-performing.